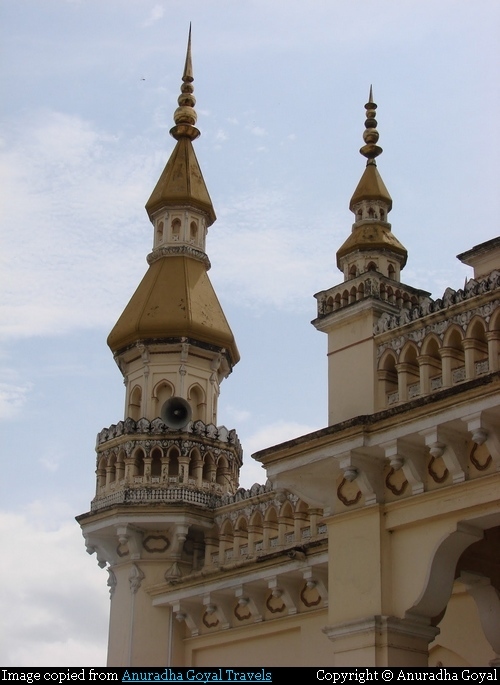 The Begumpet township of Secundrabad, Hyderabad, India, boasts of a beautiful mosque with unique design in Indian context - A mosque with Spanish or Hispano–Islamic architecture. 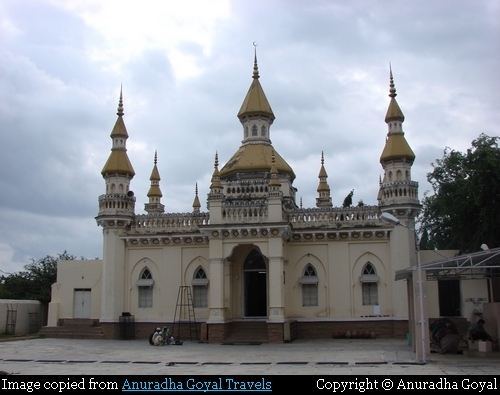 This one-of-its-kind mosque in India was built in 1906 by Nawab Sir Iqbal Ud Daula, a Noble person and Prime Minister of Nizam (Ruler) of erstwhile Hyderabad State. He had commissioned the construction of the mosque soon after his return from Spain and it is believed that he was inspired by the Great Mosque of Córdoba, Andalusia, Spain. 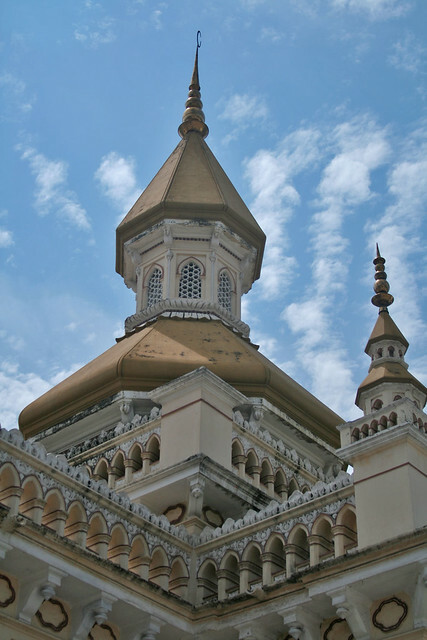 The distinct feature of the exterior of the mosque are its church like spires instead of the traditional minarets or domes. 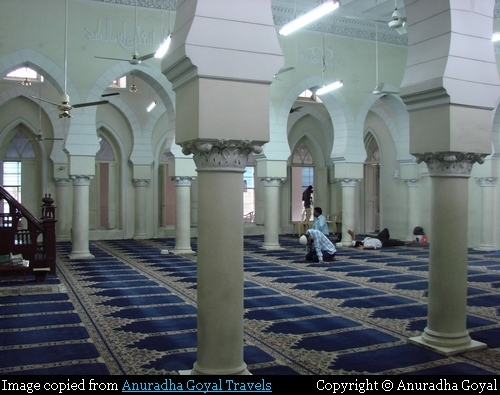 The interior of the mosque also has pronounced similarity with the Córdoba Mosque, notably the horseshoe arches and columns in its main hall, which give the hall a definitive European feel. The Quranic verses in exquisite calligraphy inscribed on the inside walls are in Ottoman Turkish instead of the traditional Arabic. Anuradha Goyal Travels. The blog is full of useful travel information and great images of several world heritage sites and off beat travel destinations in India. Credits: I am thankful to Anuradha Goyal for allowing use of images from her Blog - Anuradha Goyal Travels. Thank you Anuradha.